Bed bugs can be a nightmare for landlords and tenants. There have been an increasing number of bed bug outbreaks in the United States and the trend shows no signs of slowing down. These critters have become a major challenge to most apartment property management companies, among other facilities. The problem is that bed bugs are the most difficult and expensive pest to control in apartment buildings. 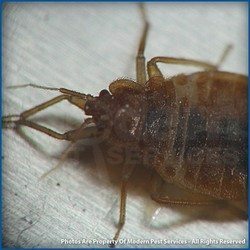 Infestation happens when the bed bugs stowaway in luggage, furniture, clothing, moving boxes or pillows. They are especially common in apartments due to high occupancy and resident turnover rates. With all of those people moving through one space, apartment dwellers are particularly vulnerable to bed bug hitchhikers coming in on infested furniture or other belongings. The influx may have begun with a previous resident, or it could be that a neighbor has had bed bugs and brought them over on a pant cuff. These stubborn pests can also become a problem if you bring a lot of second hand items into the apartment. By the time you realize that there is a bed bug problem on the property, bed bugs are infesting much more than beds. They are in furniture, under carpet, in the walls. Bed bugs can have severe financial and public relations impacts on property management companies. Successful bed bug control requires proactive actions by property management, intensive pest control service, high level of cooperation by residents and constant follow up. When a new infestation is identified, the apartments on either side, next door, above and below should all be inspected as well. Due to their complex and stubborn nature, multiple service visits may be required to ensure that all bed bugs are properly eliminated. Successfully doing everything required to eliminate bed bugs in apartments can be especially difficult for older tenants, tenants with disabilities and families with young children. This is particularly true if the tenants have to get rid of things such as cribs, beds or mattresses, which are expensive to replace. There are some additional things to keep in mind about bed bug control. Being a good housekeeper does not guarantee that you will not have bed bug problems. They usually get into an apartment by hiding in luggage, clothing, furniture or other things brought in from the outside. They feed only on the blood of people and animals, so they are more likely to be hiding near your closet or bed and your pets, rather than around the coffee table and kitchen counters that typically get daily cleanings. Also, these unique pests can live for a year or more without food! So moving into a vacant apartment does not guarantee that they have gone away. At the first sign of an issue, many landlords and property owners may attempt to correct the situation using in-house methods. However, unknown to most, they cannot legally apply pesticides. Instead they should retain the services of a pest management professional who is especially experienced in treating bed bugs in apartments. If you are at all suspicious of a critter found recently in your home, do not hesitate to call your building manager. If it does prove to be a bed bug you will have hopefully suppressed what could have become an uncontainable situation. According to Michael F. Potter, Extension Entomologist at the University of Kentucky, College of Agriculture, bed bugs are highly challenging pests to control. Still, don’t panic! Although bed bugs are aggravating, they can be battled successfully with the help of a pest control company, tricks of the trade, and patience on your part. For more information about bed bugs, view these bed bug facts. If you’re having issues with bed bugs, contact the pros at Modern Pest Services at 1-888-997-3312.